Will London become New York or Dubai? 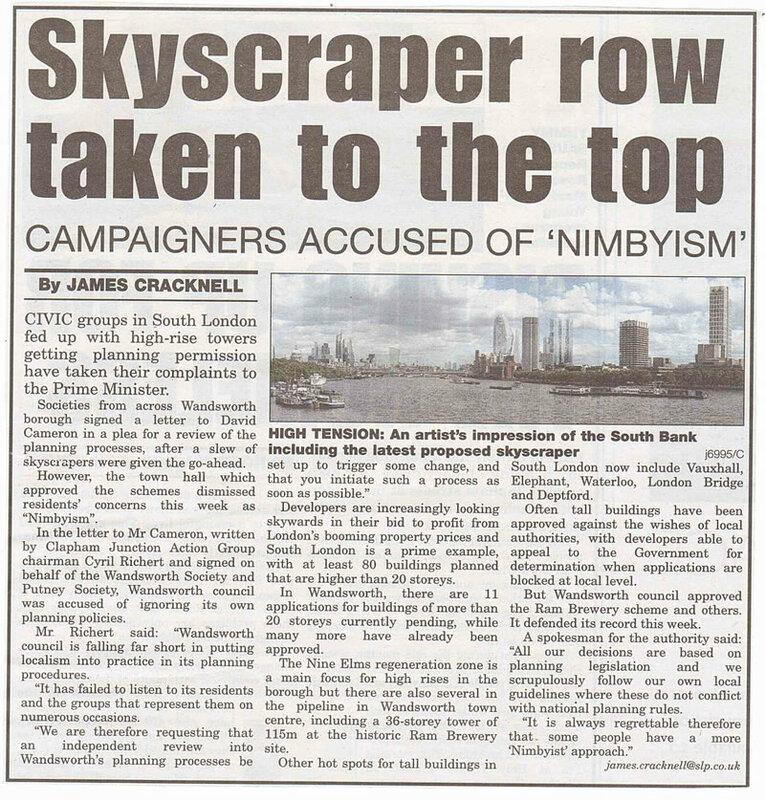 Yesterday night, BBC News (10pm) showed a report from Political Editor Tim Donovan (3’08”) about the permission given to a Chinese developer to double the size of a new luxury hotel in Nine Elms at the expense of office space and the associated jobs. 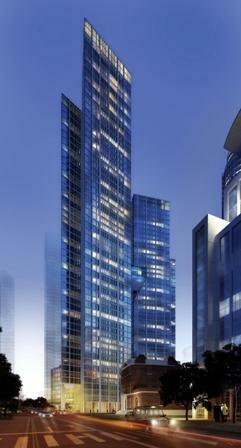 Developer Dalian Wanda has dropped all 10,000 sqm of office space from its planned riverside development at One Nine Elms in Vauxhall, along with his promise of nearly a thousand new jobs. The space has been replaced by more luxury hotel rooms and private apartments. 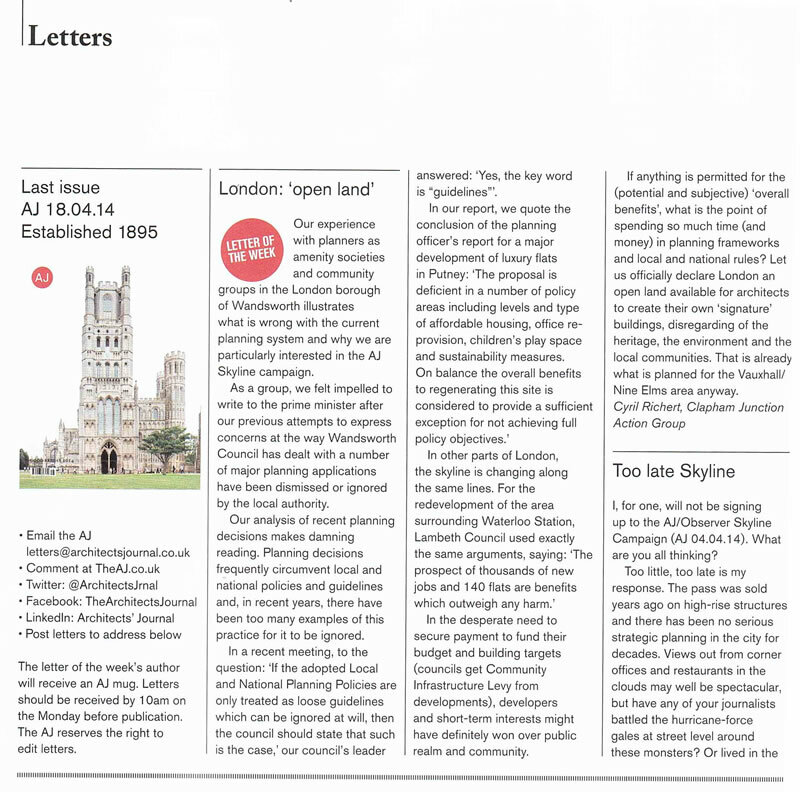 The Architects’ Journal (UK’s best-selling weekly architecture magazine) makes us the honour of being featured as Letter of the Week (edition 02/05/2014). Online article on South London Press’ website thanks to James Cracknell. 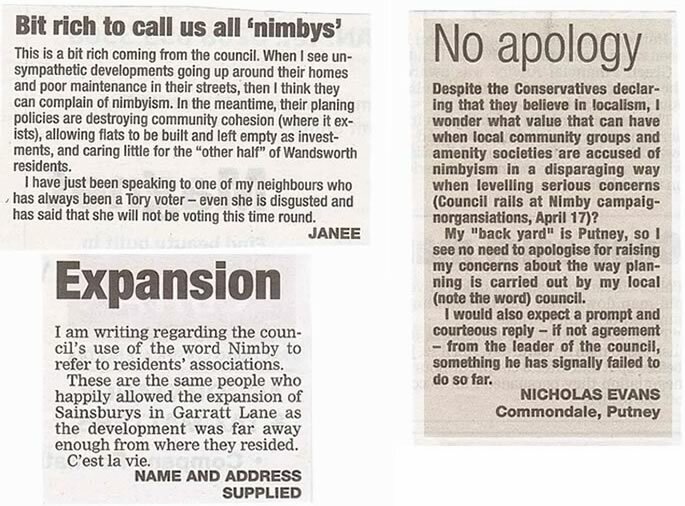 Many thanks to Sophia Sleigh for her report of the Putney Society, Wandsworth Society, Clapham Junction Action Group and Friends of Putney Common’s open letter to the Prime Minister.